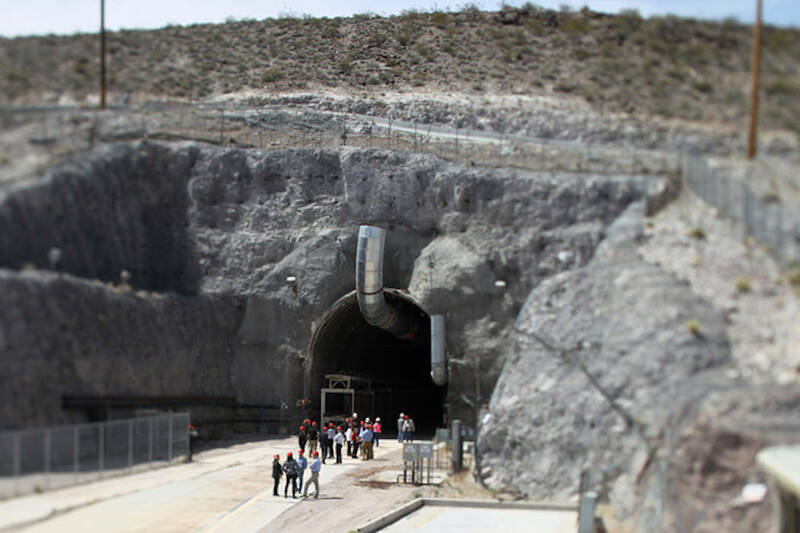 Nevada has filed a motion to dismiss a lawsuit by Texas seeking to force the federal government to restart the licensing process for the Yucca Mountain nuclear waste repository. 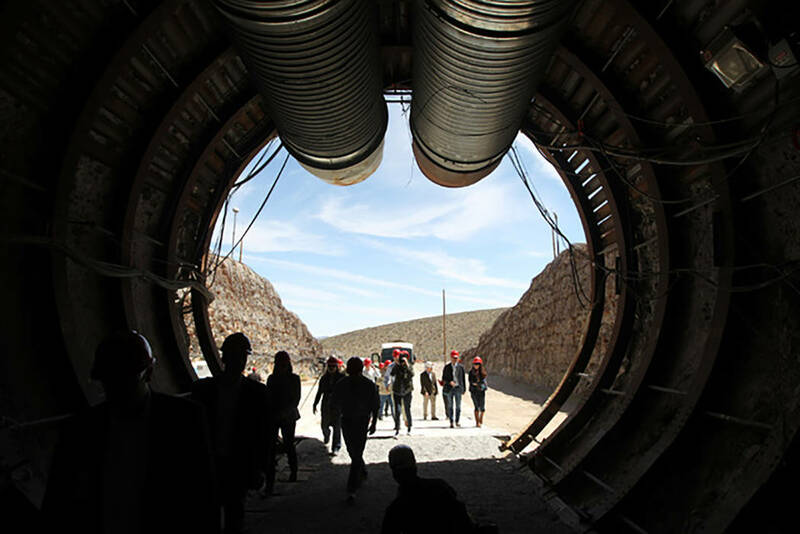 Sam Morris/Las Vegas Review-Journal Members of a congressional tour of the Yucca Mountain exploratory tunnel enter the south portal in 2015. Sam Morris/Las Vegas Review-Journal Congressional staff members, media and Department of Energy employees wait for congressmen to emerge from the north portal during a congressional tour of the Yucca Mountain exploratory tunnel in 2015. Photo provided by Nye County Nye County Commission Chairman Dan Schinhofen meets with U.S. Rep. John Shimkus, R-Illinois, on Wednesday in Washington D.C. The motion, filed Monday with 5th Circuit Court of Appeals in New Orleans, said the Texas lawsuit “directly — and adversely — threatens the rights of Nevada and its citizens.” It also hampers “Nevada’s ability to present its case at the licensing hearing, and rush a flawed project to completion at the direct expense of Nevada’s sovereign interests and the health, safety, and welfare of its citizens,” it said. In addition to restarting the licensing process before the Nuclear Regulatory Commission, the lawsuit would end the U.S. Department of Energy’s consent-based siting initiative, which would require a state’s approval to build a repository on its territory. Meanwhile, Nye County Commission Chairman Dan Schinhofen met with U.S. Rep. John Shimkus, a Republican from Illinois, on Wednesday in Washington D.C.
Schinhofen and County Planning Director Darrell Lacy are in the nation’s capital this week meeting with lawmakers and federal energy officials discussing the Nye County’s role as the host county in the potential restart of the Yucca Mountain licensing process. Schinhofen and County Planning Director Darrell Lacy are in the nation’s capital this week meeting with lawmakers and federal energy officials discussing the Nye County’s role as the host county in the potential restart of the Yucca Mountain licensing process, Nye County government reported Thursday. 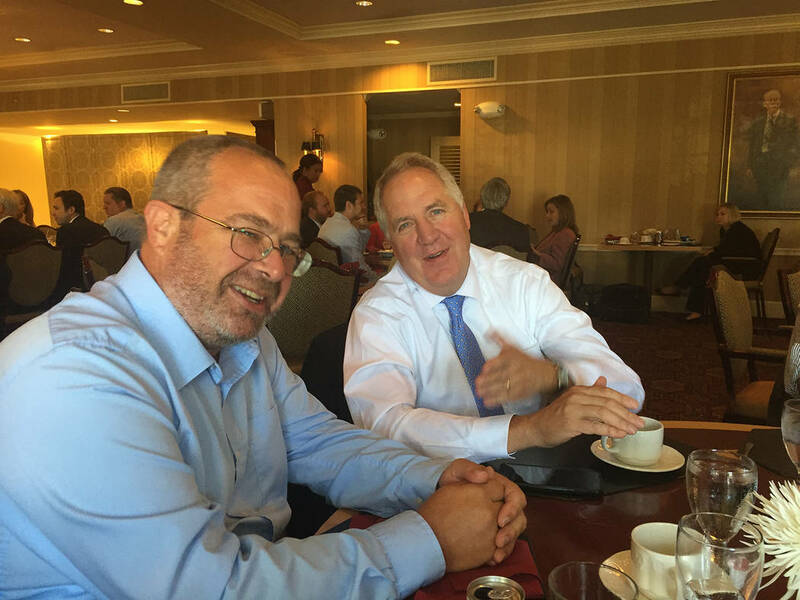 Shimkus served as chairman of the House Energy and Commerce subcommittee o the environment that voted on Thursday, June 15, to forward the Nuclear Waste Policy Amendments Act of 2017 to the full House committee, the county reported.